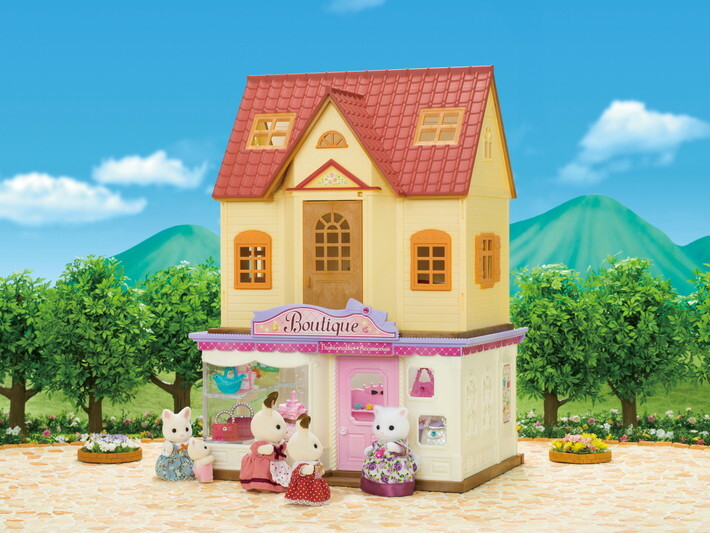 Shop 'til you drop with this sparkly new boutique! 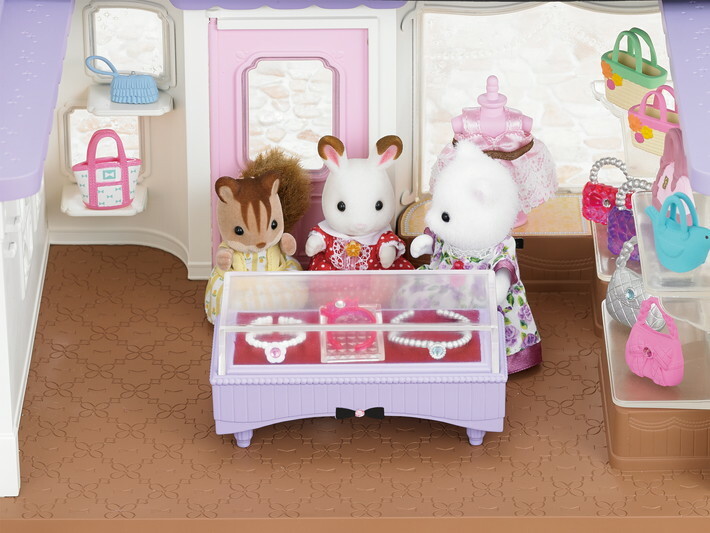 Cecilia Teak has a passion for fashion and has designed a whole selection of wonderful bags, shoes, jewellery and accessories for your stylish Sylvanians to buy! 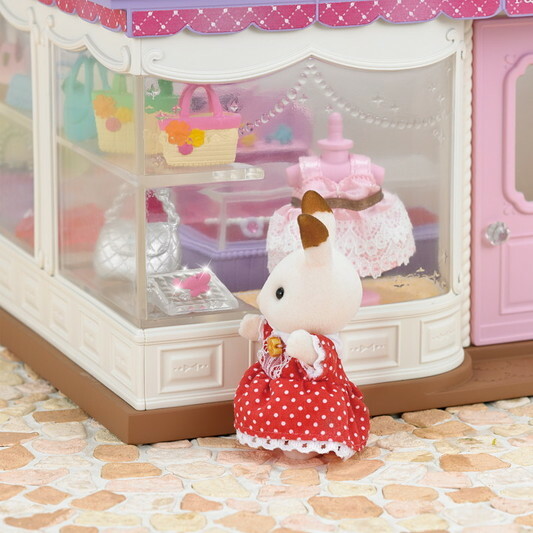 She's even put on an extra beautiful dress for the occasion, just watch her twirl! 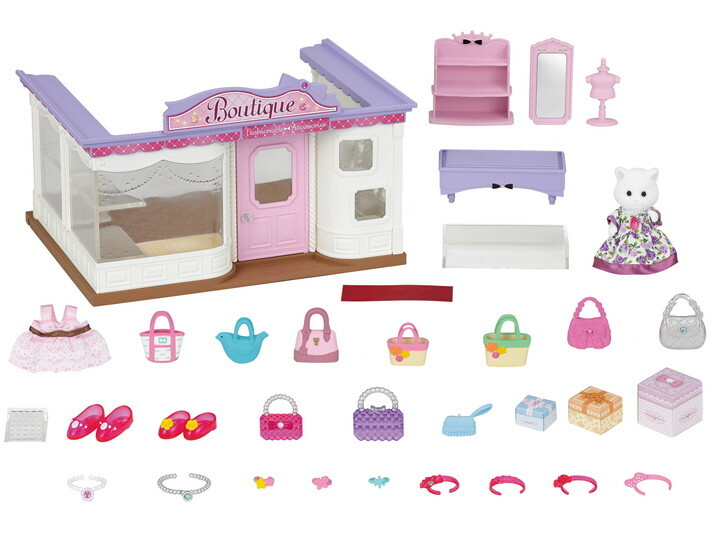 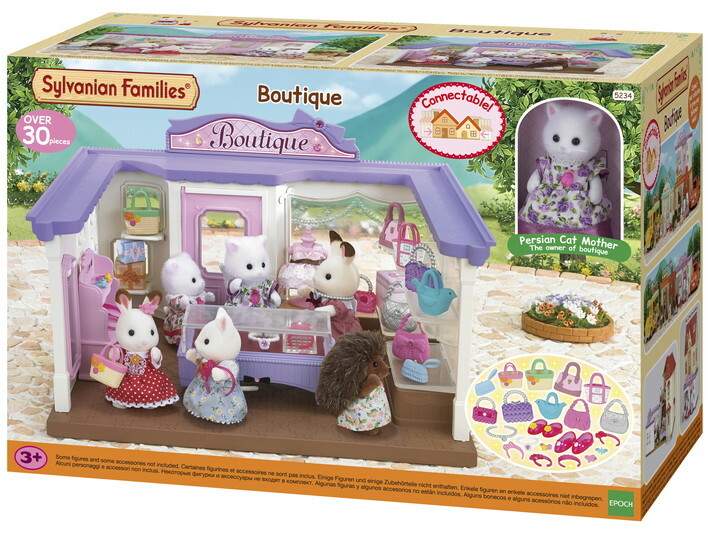 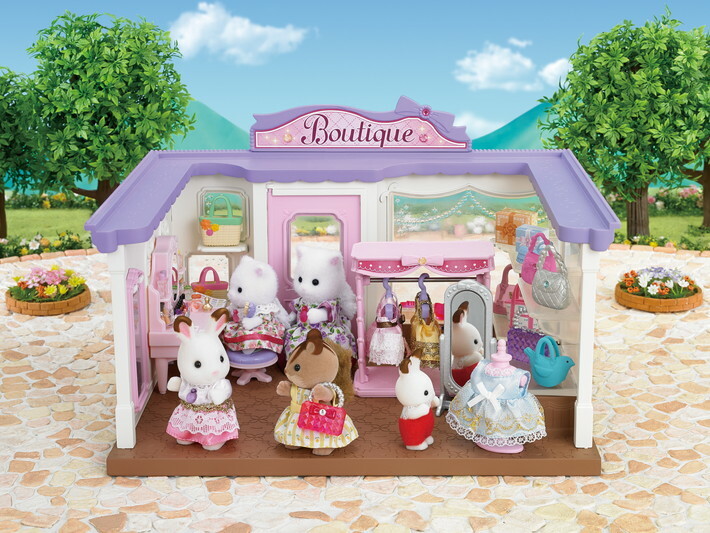 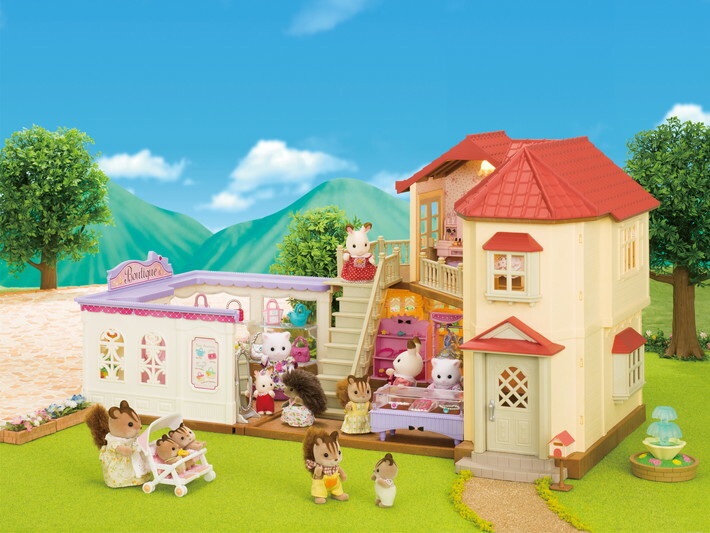 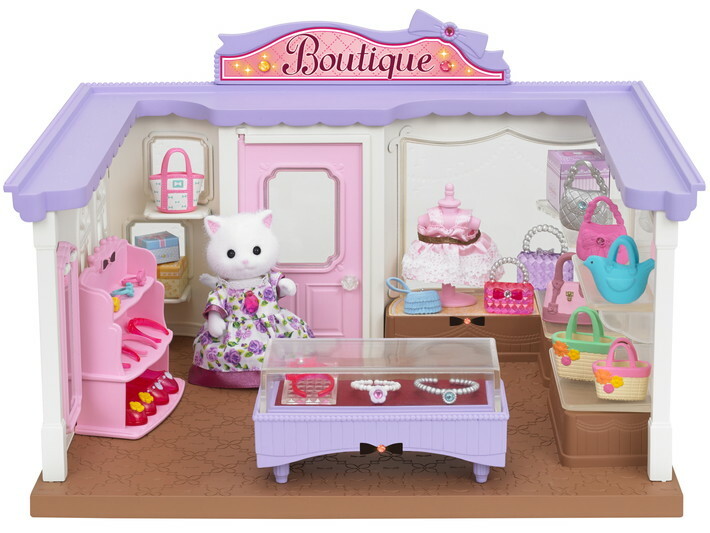 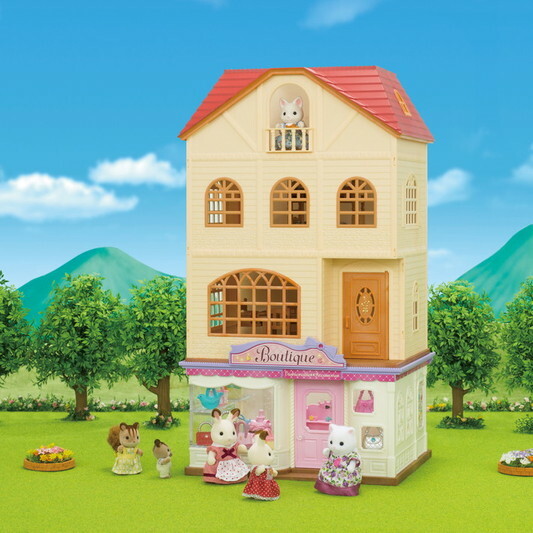 With a selection of shoes, some fetching jewellery and lots of cute bags, this will have your Sylvanians admiring their new look all day long!